For the nine-to-fiver, a pot of coffee can almost always be found in the nearby break room—if not a full pot, at least a re-warmed stale thick cup's worth. But for the construction worker, the nearest over rewarmed stale cup of brew might be miles away, held up in traffic somewhere aboard the daily roach coach. 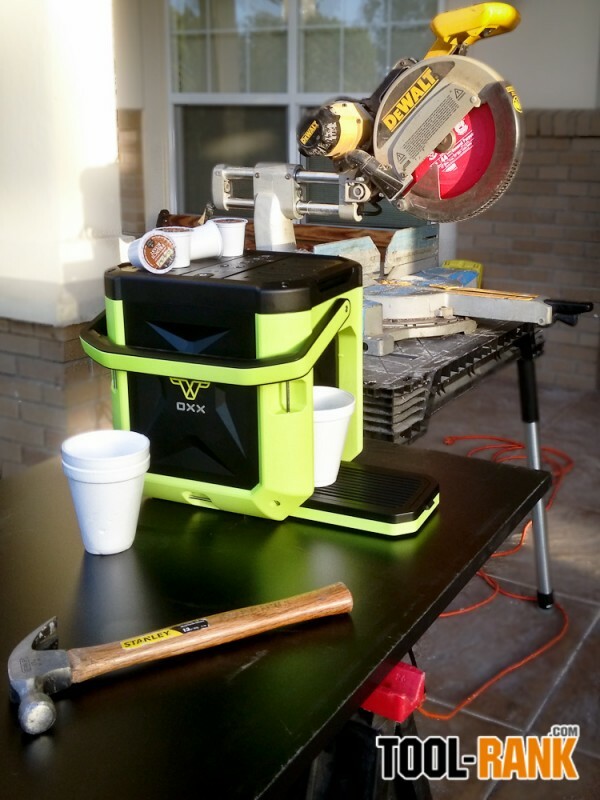 Sure, there might be a jobsite trailer with a primitive coffee maker atop a makeshift table, but that pot of joe is reserved for the collared type, not tradesman joe whose hard hat isn't just for show. 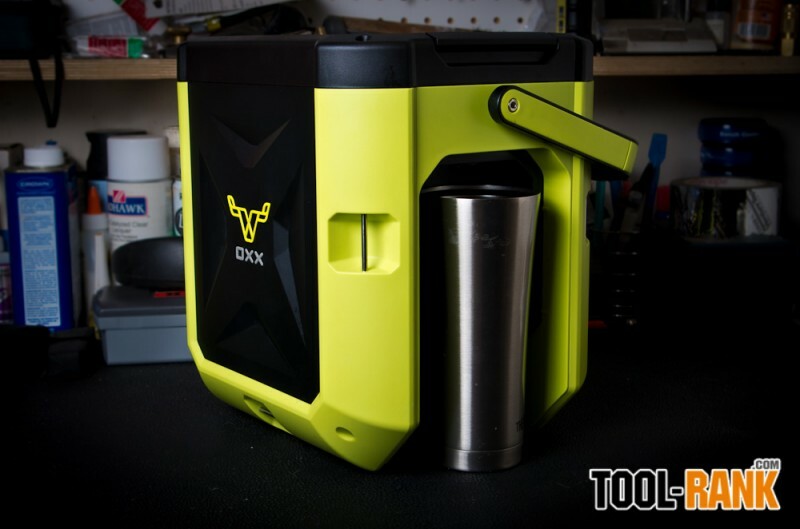 So let the office crowd have their bitter brew, and the gold hard hats guard their stained carafe, because now we, the ones who get the job done, have the Oxx Coffeeboxx. 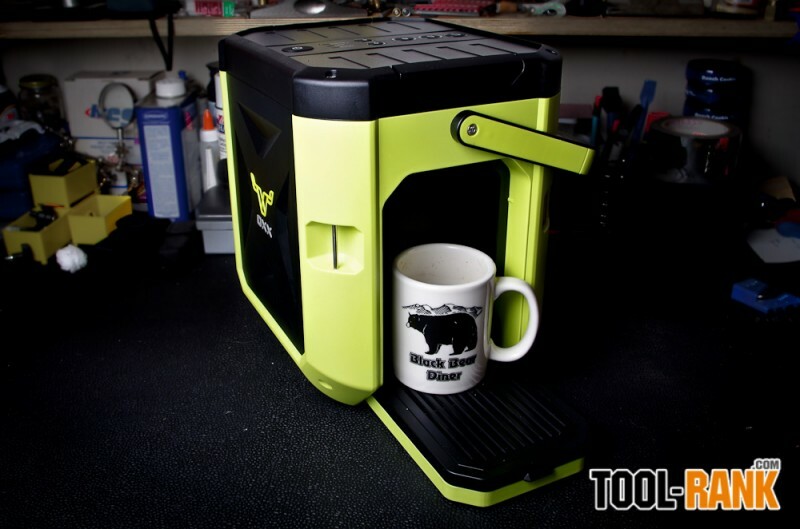 The Coffeeboxx is a single serve brewing system that uses K-cup pods. "Built for those who bring it," the Coffeeboxx is designed, engineered and built for the tough and for their tough environments. I can't imagine good folks like Mr. Coffee, Hamilton Beach or Keurig feeling at home in hazardous places with tools pounding, blades cutting, and materials scattered everywhere, and where dust and grime are the norm. 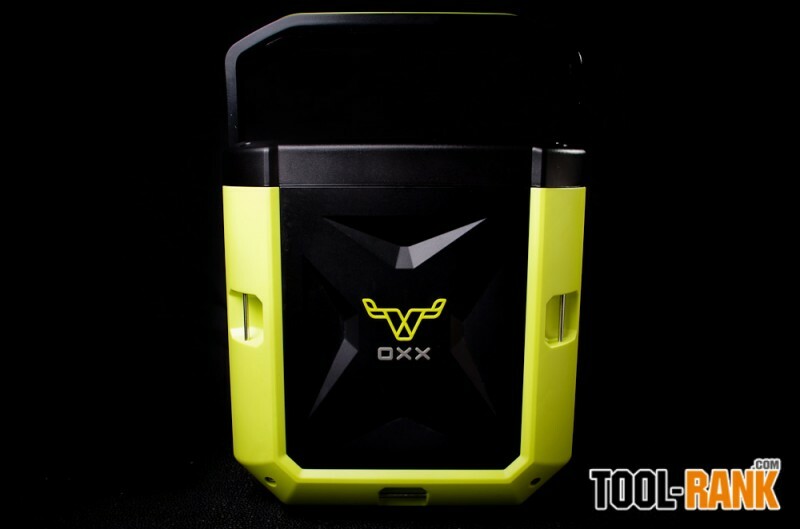 So, with such environments in mind, Oxx made the Coffeeboxx to be crush proof up to 1500 lbs, for the guy who might drop a pipe or 2X4 on it; it is spill proof, not losing a drop even while in the back of a pickup rolling over a rumble grate. 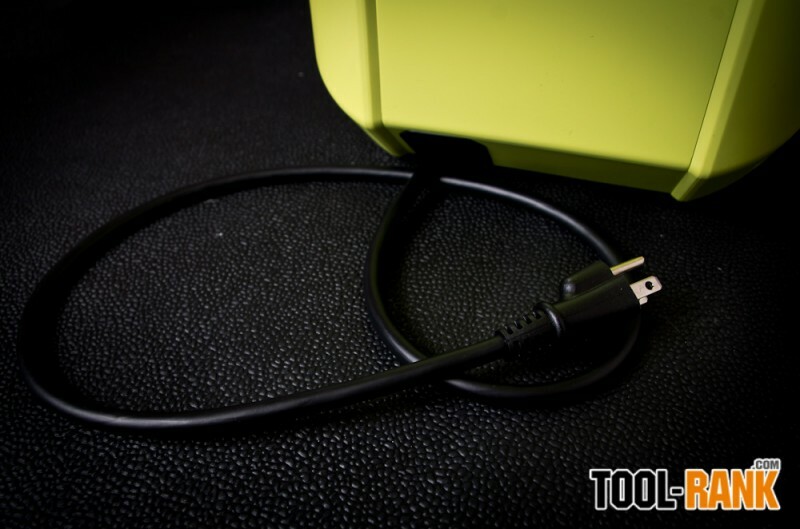 It is water resistant, dust resistant, and impact resistant—hazards common where stuff gets done. Even getting to the jobsite has been designed into the Coffeeboxx. 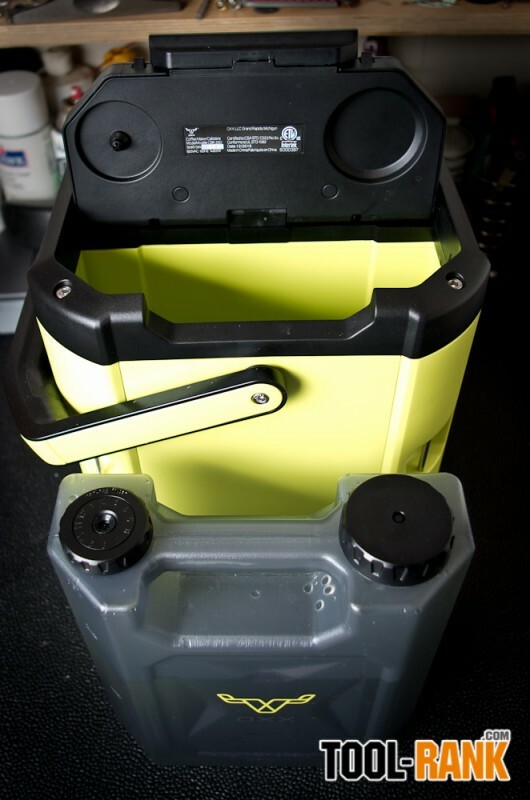 Roughly a 12" cube (11 X 9 X 11.5), with a retractable power cord, weighing in at 12 Lbs, it is easy to carry with its rubberized handle. And if you need to strap it down, it has 6 stainless steel tie-downs. 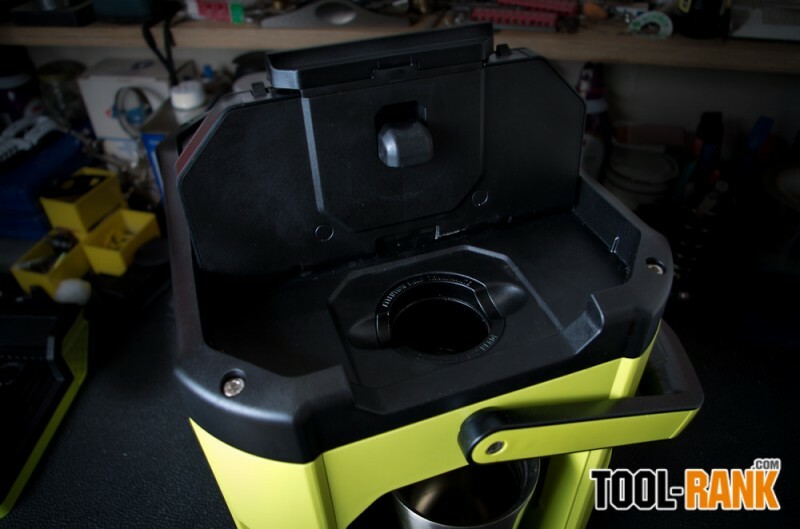 Operating the Coffeeboxx couldn't be more simple. It has a large 84.5 oz removable water tank with a replaceable carbon filter, and once filled, all you do is place in a pod and you are two buttons and 75 seconds away from a hot fresh cup. 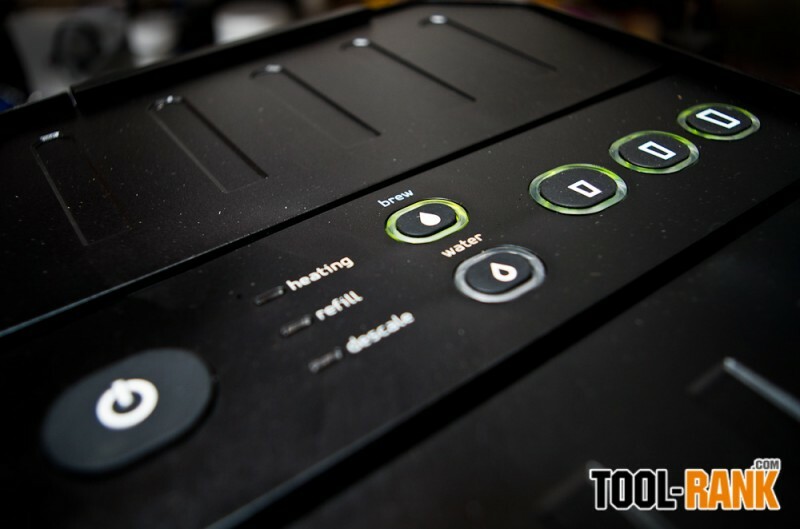 Pressing the power button defaults to brew, and heating up is almost immediate. The cup size lights blink indicating that the water is ready. Press 8, 10, or 12 oz, and have your cup in place. For regular hot water there is a separate water line, so your tea, cocoa, soups and the like won't have a coffee flavor. Now for my disclaimer, I am not a coffee snob. I am not known at the local Starbucks, but I do enjoy—even need—my morning cup, and I can tell the difference between a good cup of coffee and one dispensed from the budget hotel lobby "coffee" machine. The first pods I bought to try out in the Coffeeboxx made a hot fresh cup, but seemed a bit week for me. Trying another brand, I found a taste I really enjoy; and with the coffee aisle at the supermarket abounding with choices, I'm sure there is a choice for just about anyone. Testing the machine thoroughly, I did experience a problem once while brewing. There was no trickle of coffee, then three blinking red lights indicated a problem. 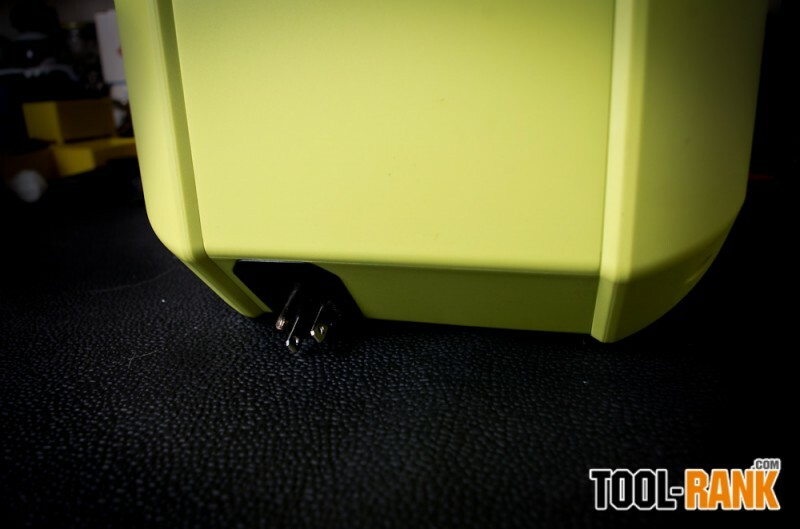 But referring to the troubleshooting page in the manual, the problem was easily identified as a clog and fixed with a toothpick. I might have caused the problem by starting and pausing the machine repeatedly while in a brewing cycle. No problems since. 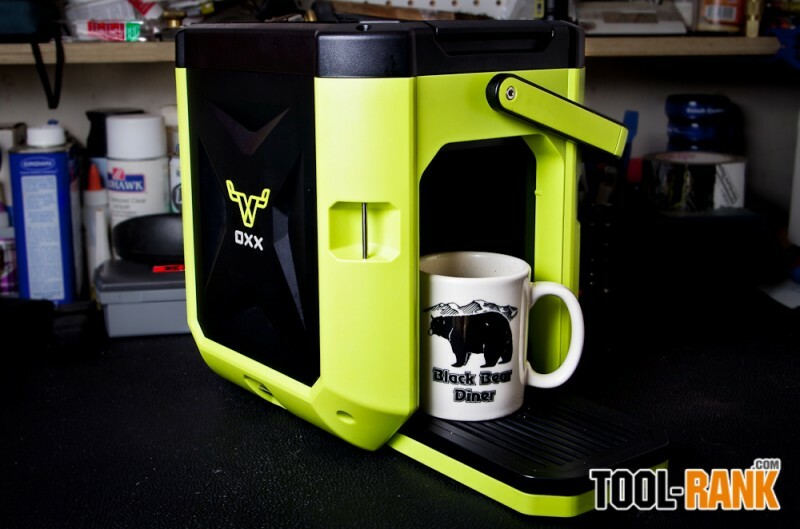 To be fair, this review does not compare the Coffeeboxx to Keurig or other K-cup machines. I do not regularly use them, besides, they're suited mainly for the home or office. 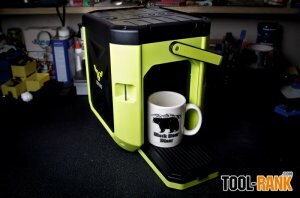 But for a rugged well-built brewing system that can stand up under harsh conditions, and would also work even in the home or office (especially if lime green fits your decor), I'd say that the Coffeeboxx is the machine to buy.